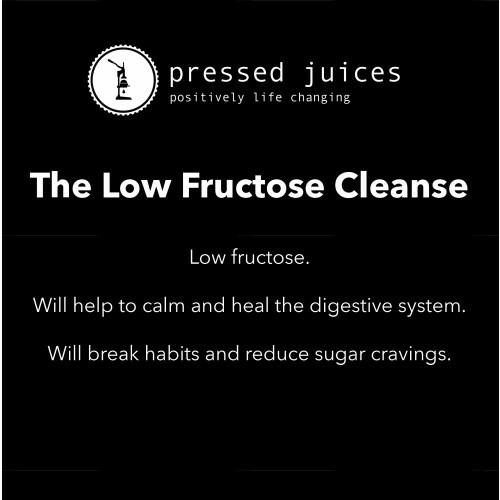 Pressed Juices low fructose cleanse is for those with fructose intolerances/ sensitivities or wish to consume a low sugar cleanse. This cleanse will help to reduce sugar cravings whist giving you a deep, intense juice cleanse. Fructose is a sugar found in fruits and vegetables and at times can be over consumed. Some are also intolerant which can cause a range of digestive problems, foggy head and feeling flat. With the reaction of inflammation food sensitivities can cause, it is often a good idea to complete a cleanse to calm, settle and heal the gut lining. From anti-inflammatories all the way through to healing properties the Low Fructose cleanse will get you body re-set and to an optimal state of wellbeing. Fresh anti-inflammatory produce is highly included with this cleanse and will ensure to help – bloating, sluggish digestion, cramping, head aches, foggy brain and much more! The impact of a large variety of leafy greens will flood your body with B vitamins, Vitamin A, C, K, calcium, folate, iron, beta-carotene to name a few ensuring your body is gaining the nutrition it needs. The juice cleanse allows to calm inflammation to ensure nutrients are properly digested within the gut. 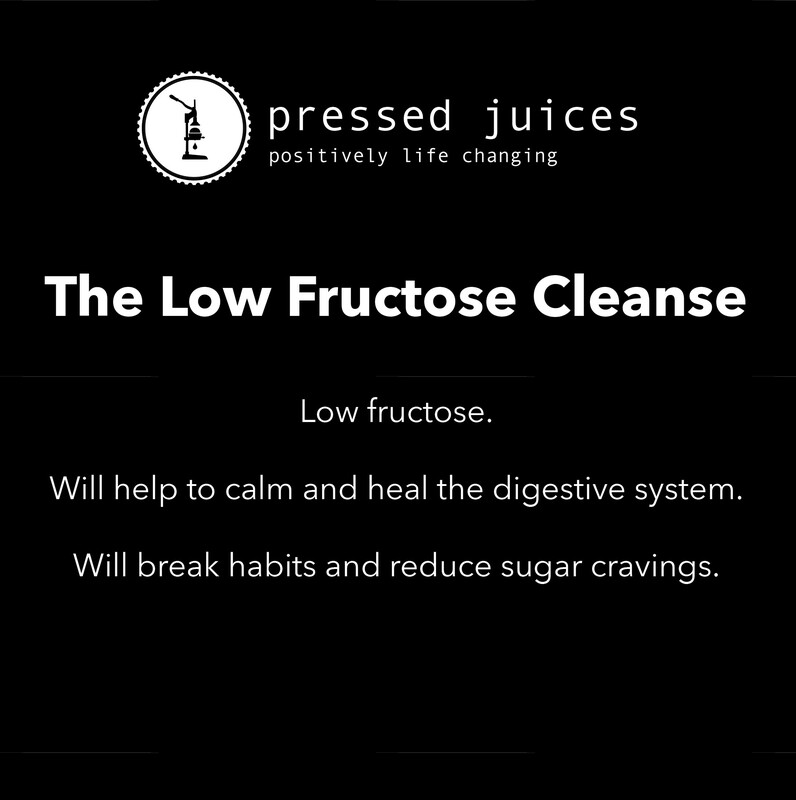 The Low fructose cleanse is also fantastic for someone trying to break bad habits or someone wanting to heal candida! With minimal sugar available this will help to break sugar cravings and avoid feeding a candida overgrowth that may be present in the body. Fresh raw produce is filled with live enzymes that will largely help to reduce candida. Someone newly diagnosed with fructose intolerance can be overwhelmed and find it difficult to comprehend a diet change. It is very much suggested to focus on the foods you can have rather than what you cant! By the end of this cleanse you may notice you are feeling clearer, more energized and back to yourself again.